It was thought to be a copy, but it turned out to be the real thing. British art restorers working on a painting long believed to be a later imitation of Sandro Botticelli’s famous Madonna of the Pomegranate have discovered it came from the Italian Renaissance artist’s own workshop. English Heritage said the discovery was made while the painting was being cleaned by the charity’s conservators. The work’s true colours and quality were hidden under more than a century of varnish. 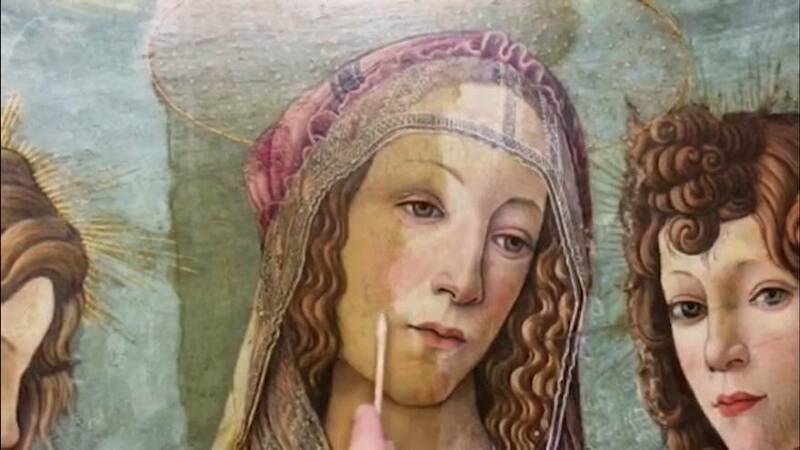 "I noticed instantly that the painting bore a striking resemblance to the workshop of Botticelli himself; stylistically it was too similar to be an imitation," said Rachel Turnbull, English Heritage’s Senior Collections Conservator. "After removing the yellowing varnish, x-ray and infrared examination revealed under-drawing, including changes to the final composition uncommon in straight imitations, " Turnbull continued. The painting is the closest version of the famous masterpiece by the Florentine master, English Heritage said. The original is in the Uffizi Gallery in Florence. The rare workshop version was bought in 1897 by the collector Julius Wernher, who made a fortune in diamond mining in South Africa. London art lovers will get the opportunity to see the newly-cleaned painting for themselves at Rangers House in Greenwich, where it will go on display on April 1.